Your company’s reputation for providing the best quality services and products depends largely on the types of employees you hire. It’s only prudent to verify that applicants and potential hires have received the right training and education to be effective in their functions. Educational and resume verification checks will provide you with the information you need for hiring smart, such as a candidate’s Major, Degree, graduation status, year of attendance, and honors received. You will receive notification about any false information—for example, if the applicant never completed a degree cited on the resume. Education fraud is more common than you think. Many job applicants provide false credentials, education history, and employment history in order to appear more qualified for the job. Fraud is widespread in this highly competitive market where employers require degrees, advanced skills, and impressive work experiences. If you make the mistake of relying on false information on an applicant’s resume to make hiring and compensation decisions, you will likely waste money and time on training. Bad hires also negatively affect your company’s productivity and increases your turnover rate. Resume verification can prevent these problems. You can trust A Good Employee to provide thorough background checks to confirm a candidate’s education and work experience so you can make better decisions. Our comprehensive education verification services help you avoid negligent hiring issues down the road. We can verify the educational institution, degree, and GPA of a prospective employee within two days (and often within just 24 hours). 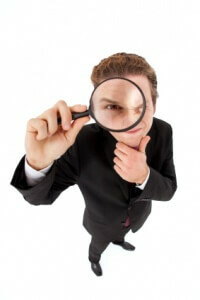 We can also provide detailed background checks on a candidate’s past employment history. This can be crucial in detecting false or exaggerated claims about job experience, position, and compensation. Our verification services can be customized according to your requirements. For the quickest turnaround and highest degree of accuracy on education and resume verification, you can count on A Good Employee.